Sparrow Migrations was featured in the June issue of this all-digital magazine, available for iPad or pdf download. Click the link to subscribe to their e-mail newsletter, which entitles you to a free issue. You can also find it in the Apple App store. 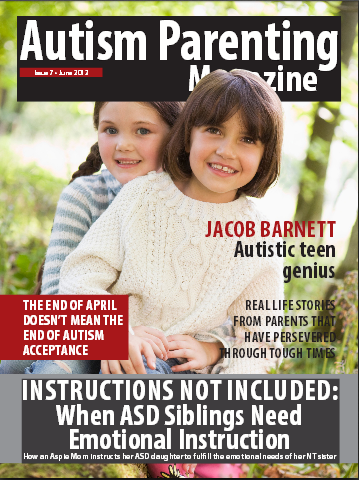 The June issue is dedicated to siblings – ASD and NT. From a mom who has one of each, it’s good stuff.